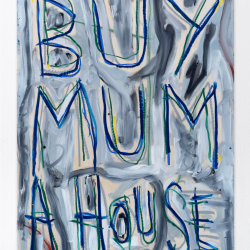 In collaboration with five galleries, Langley shows works from his on-going series ‘Mummy’s boy’, for the first time in a dedicated solo exhibition. 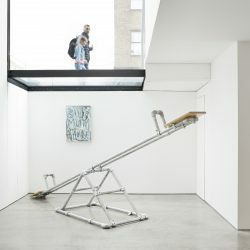 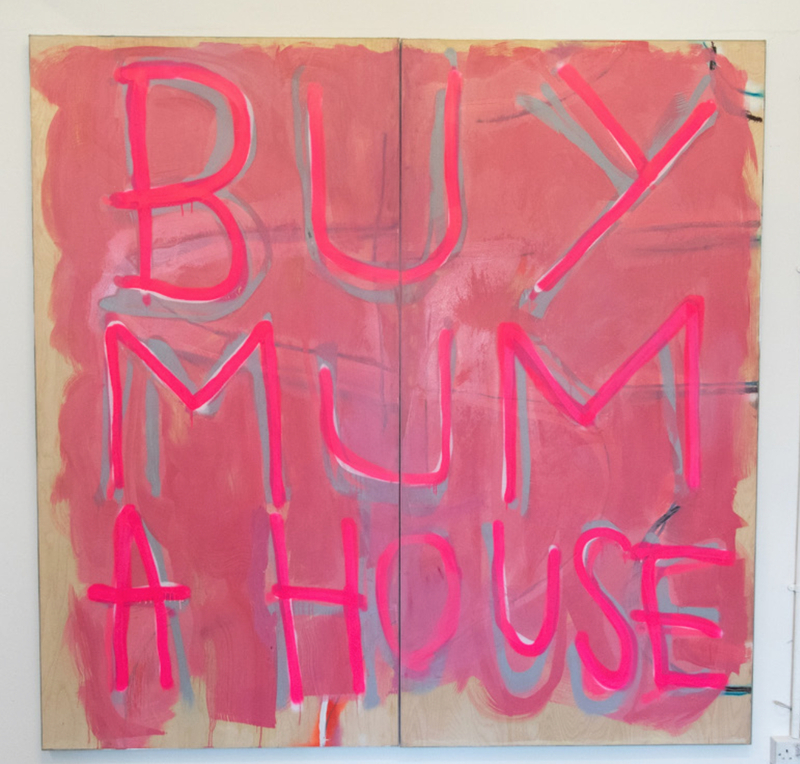 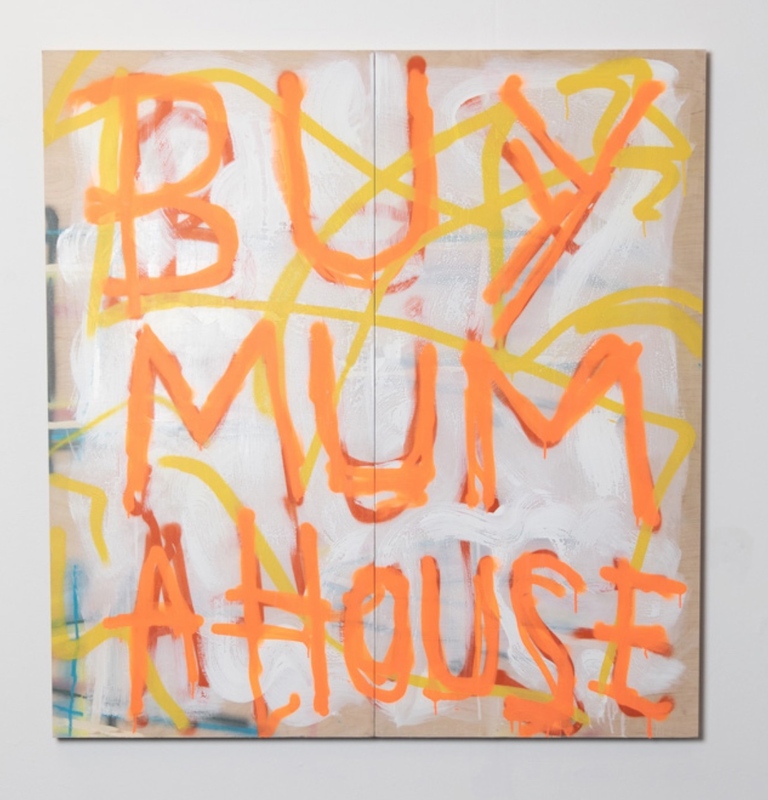 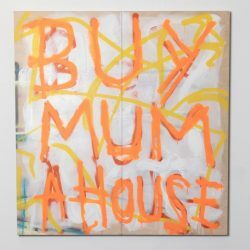 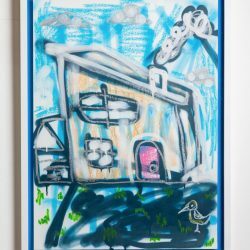 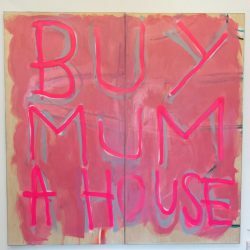 Having started this nonsensical paradoxical quest to ‘buy mum a house’ during his studies at the Royal academy schools, Langley now fully fledged, flexes this newfound artistic adulthood with a big solo show hosted by Camden’s Cob gallery. 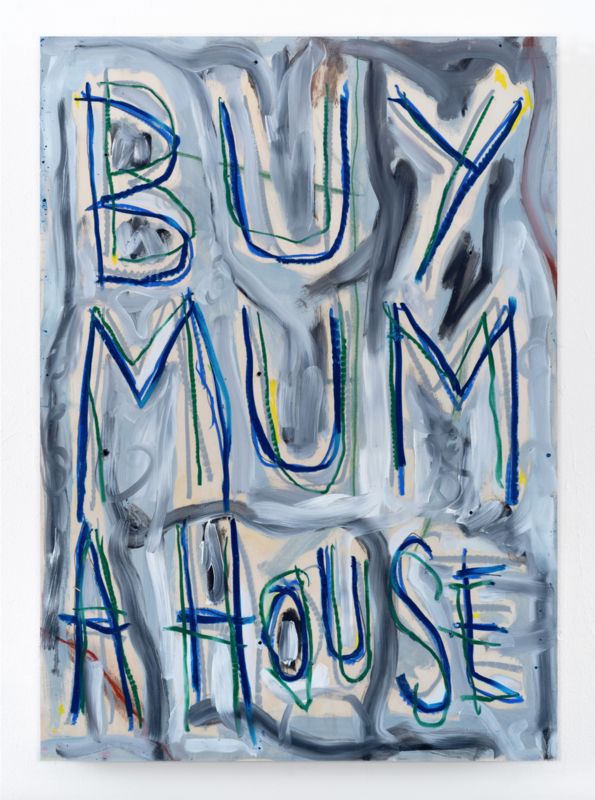 Large-scale text-based paintings sit alongside newly developed representational landscapes. 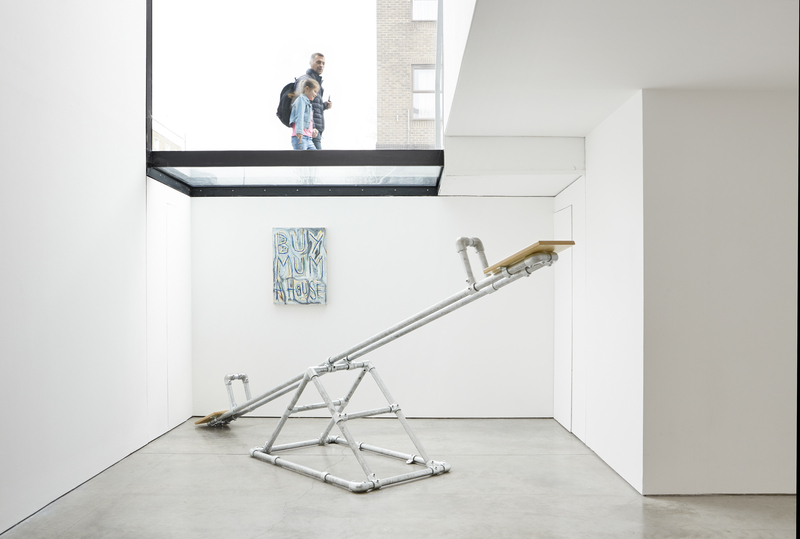 This exhibition marks a completion in what until now has been an on-going series. 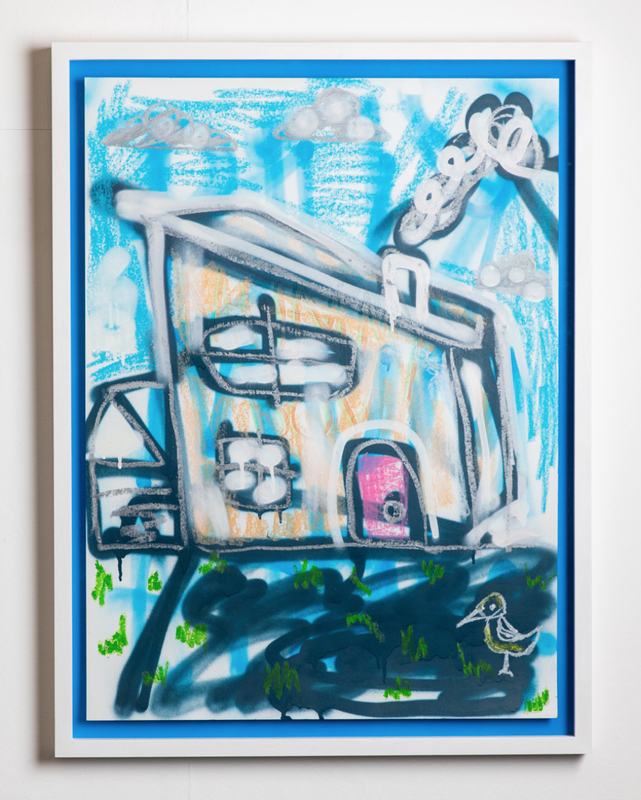 (no place for me), 12 Piccadilly arcade, London, 2018, (Pipe) Dreamer, Royal academy schools graduation show, London, 2018, Future Absurdities, Unit 1 Gallery Workshop, London, 2017, Art Type Stuff, Stour Space, London, 2016.